With a renewed focus on pilot watches for 2017, Alpina is introducing the Startimer Pilot Quartz GMT, which follows the launch of the Startimer Pilot Automatic that debuted last spring. 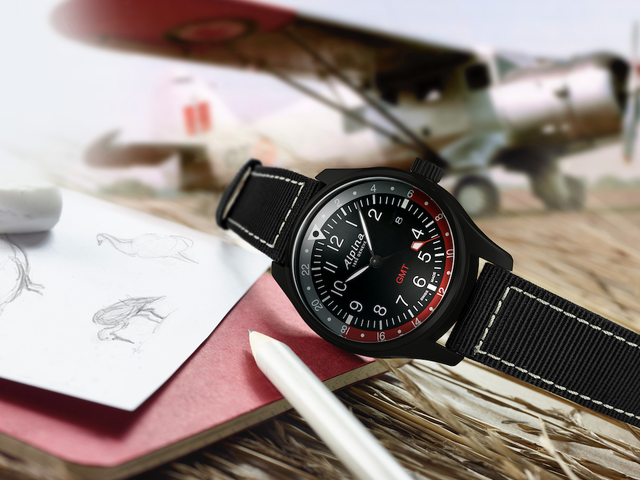 Both models feature the essential details of a pilot watch designed with the goal of maximum readability: oversized luminescent numerals, day and night indicator, and GMT hand with a red triangle. 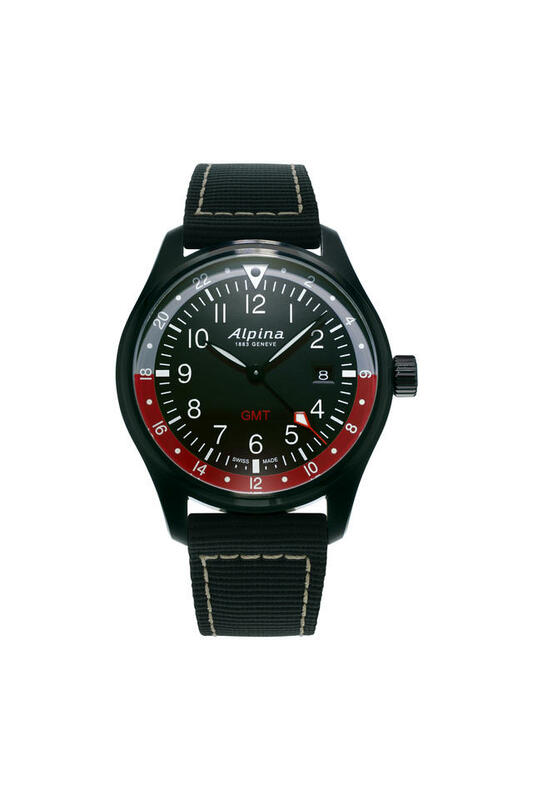 The new watch is made with a 42mm stainless steel or black PVD case (9.44mm thick) and a caseback engraved with the Alpina Genève logo. Inside, a quartz caliber powers the hours, minutes, date and GMT, which is easily adjusted by the crown. Pull on the crown once to prompt the home time; turn the crown counterclockwise and the GMT hand will move accordingly. Turning the crown clockwise will set the date. By pulling once more on the crown, local time may be set. The black dial is complemented by white indexes, and the hand-polished black hour and minute hands have white luminescent treatment, as does the black GMT hand. 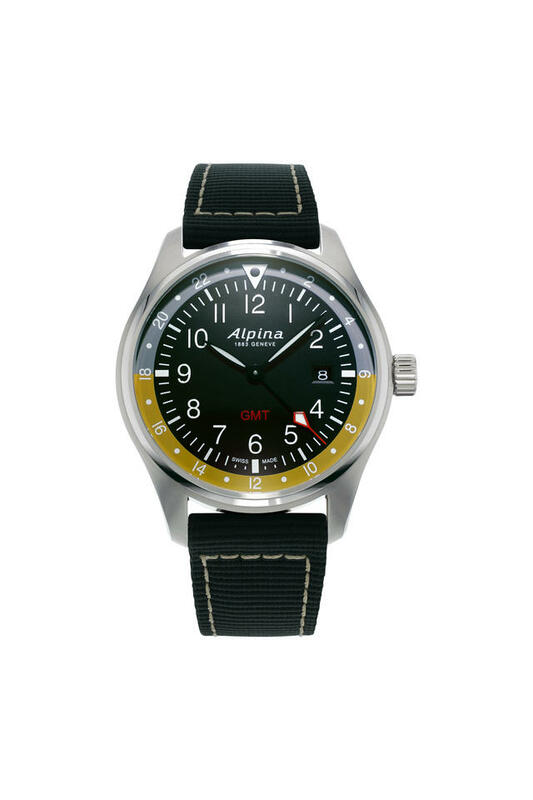 The date window is at 3 o’clock, while the Alpina logo is just above center. 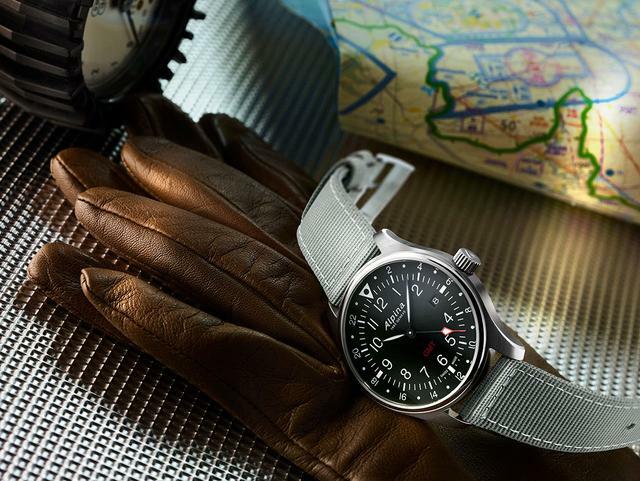 The watch, water resistant to 330 feet, is fitted on a light gray or black nylon strap. 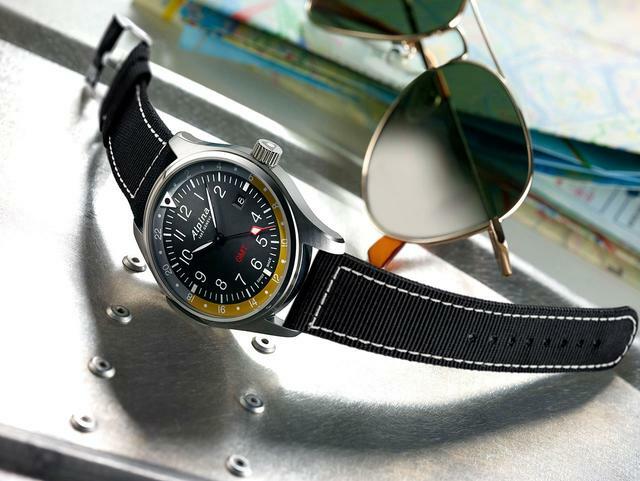 A second version of the steel-cased watch features a gray and beige 24-hour scale surrounding the black dial and the model with the black PVD case has a gray and red scale. Both these variations offers interesting contrast on the dial that also enhances legibility. 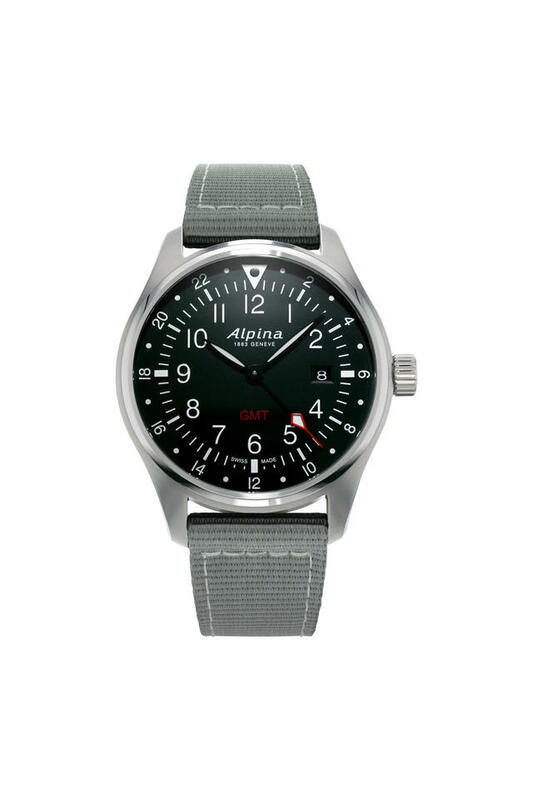 Alpina’s history in pilot watches dates to the early 20th century. And just this year, in order to draw new attention to this legacy, American aerobatics champion Mike Goulian was named Alpina ambassador. The company also became the Official Time Keeper of Team Goulian in the Red Bull Air Race World Championships.